We value your participation and thank you for choosing to be involved with the Manitoba Marathon. When you trust us with your personal information we respect that trust and want you to be aware of our commitment to protect the information you share with us in the course of being involved with us. The Manitoba Marathon will not sell participant information to anyone. 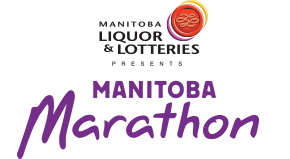 All employees or persons performing tasks for the Manitoba Marathon, who are granted access to participant records understand the need to keep this information protected and confidential. They know they are to use the information only for the purpose intended. This expectation is clearly communicated.